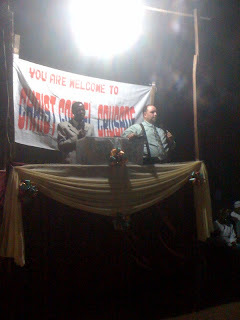 Preaching at the Crusade. Bro. Adelani is interpreting. No time to rest. Preach on, bro!